CARY & ASSOCIATES BUILDERS INC is a full service general contractor specializing in negotiated projects for the Design and Construction of commercial, industrial, winery, and agricultural buildings. We will also work for other General Contractors acting as a subcontractor supplying and erecting the pre-engineered steel buildings for their project. We are licensed under the classification of General Contractor “B” license and Structural Steel “C-51”. We specialize in using a Design/Build approach to your project.Using the Design/Build method of construction allows the planning, specifying, designing, estimating and construction to be combined under a single source of responsibility. This provides better handling of solutions and better value than other construction methods. 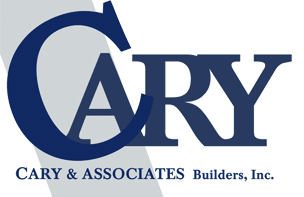 Cary & Associates Builders Inc is committed in delivering quality workmanship to our clients, in cultivating a work environment that encourages new ideas and growth, and in developing lasting relationships with our subcontractors and vendors. Our policy is to conduct our business with integrity and loyalty to our clients. We have worked diligently to promote team based projects and to provide our clients with the finest building their dreams and budget permit. We are loyal to our clients and they have been loyal to us. We find that most of our business comes from referrals, word of mouth and repeat clientele. Over the course of more than 30 years, we have successively completed over 400 commercial, agricultural, industrial and municipal projects in Northern California servicing: Napa, Sonoma, Marin, Lake, Mendocino and San Mateo counties. We are a Metallic Building Company representative, authorized builder and a member of the President’s Advisory Council. We have the unique ability of being able to integrate pre-engineered metal building systems with complex conventional building designs. For further information on Metallic Buildings, please click on the following link.